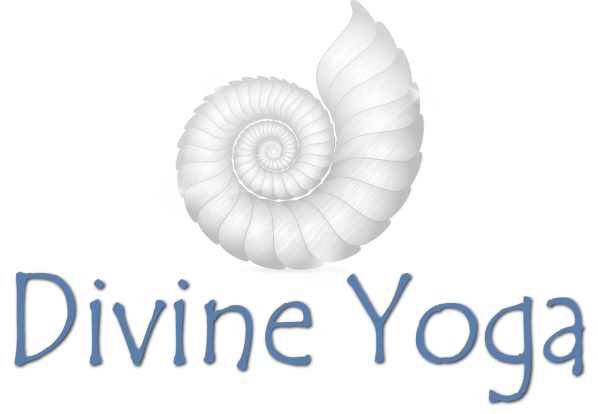 Vinyasa classes use the linking together of movement and breath to create a vinyasa flow. Every class will be different, because the postures can be put in any order. These classes cultivate balance, flexibility, strength, and endurance. These classes are strong, fun and can be modified for any level of experience. Are you new to yoga or looking to refresh your practice? Are you working on building confidence in your yoga practice? If you answered "Yes", then this class is for you! This class creates a solid foundation for understanding and exploring the fundamentals of yoga. We will break down and practice poses then link them together with your breath to create a slow paced, fun, and energizing practice. Come give it a try! A deeply relaxing practice of supported poses, guided relaxation, yogic breathing, and an extended savasana (final resting pose). This meditative practice cultivates a necessary balance between body and mind while dissolving physical and mental tension. For any level student seeking to reduce the effects of stress. This class is also highly effective for athletes looking to increase flexibility and improve their performance both physically and mentally. Ready to to take it to the next level? Mixed Level is for you! A fun and challenging mix of vinyasa and alignment based yoga, this class is designed to cultivate focus, stamina, strength, and flexibility. Mixed Level offers alignment direction within the flow of posture and breath. Come prepared to work hard, sweat, and have a great time. All levels are welcome. A slower flowing class focusing on linking breath with movement. Poses are held long enough to offer explanation and modification to allow for all levels of students to enjoy the class. Each class will focus on breaking down one or two poses to allow for deeper instruction overall. You will gain flexibility, release tension, strengthen and tone the whole body and increase circulation. Take some time out of your weekend to enjoy this mixed-level, alignment-based yoga experience. Linking the mind, body, and heart is the essence of yogic philosophy. We will explore vigorous sequences with special attention to intention, awareness, and breath. A balanced combination of sustained poses and continuous movement will energize and deepen your practice. All levels are welcome. A quiet, meditative practice with an emphasis on the hips and spine. Through mindful muscle relaxation, yin yoga promotes the healthy flow of chi (energy) in the body through the connective tissue. Postures held for longer periods give practitioners the opportunity to observe and bring awareness to the breath and sensations in the body. The Yin practice is a wonderful compliment to a more vigorous yoga practice, running, cycling, or other more active pursuits. Holy Yoga is a form of experiential worship that was created to introduce physical worship of the Lord through prayer, meditation, breath work, and movement to all denominations of Believers in Jesus Christ. Holy Yoga is for everybody, regardless of age, denomination, or even physical health level. Our sole purpose at Holy Yoga is to connect people to our Lord and Savior, Jesus Christ. To deepen that experience, Holy Yoga classes are practiced to contemporary motivational Christian music. Yoga is NOT a religion; it is a practice of mind and body connection. When lead by biblical scripture, prayer and worship poses it is a practice that encourages patience and cultivates an understanding of what God can manifest in our physical and emotional bodies. When we can distance ourselves from the daily grind and find peace in worshiping with the entirety of our being, we find ourselves in the flow of His magnificence and in the midst of His grace.